Our location on the M6 corridor through the north west of England to Scotland could hardly be better, with the town centre just a few minutes' drive from Junction 40 on the M6. We are also situated on the A66 for ease of travel accross the country from Yorkshire in the East, stretching through the Lake District and on to the West coast. Penrith boasts a mainline train station in the heart of town, and major cities like Glasgow, Carlisle, Newcastle, Leeds, Preston, Manchester and Liverpool and beyond are all within easy reach, whether by road or rail. 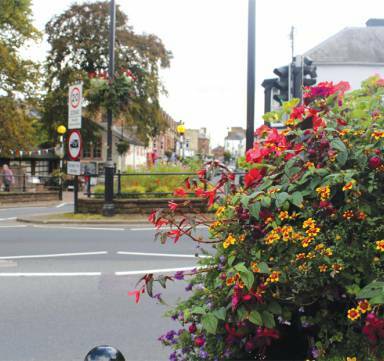 When travelling by car, there is a one-way system around the town centre and on Southend Road near New Squares, and we’ve a range of parking options in the heart of town. There are car parks at most supermarkets, pay-and-display car parks and short-stay on-street parking in our disc zones (click map to expand). The town centre is within easy walking distance of most car parks. There is also a residents’ parking-permit scheme. A Blue Badge Scheme operates for those with severe mobility problems. Eden Shopmobility provides battery powered scooters and manual wheelchairs to help people of all ages who have limited mobility to do their shopping. 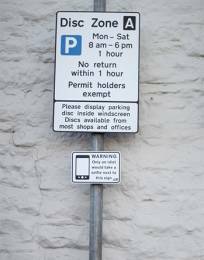 There are several areas in the centre of Penrith where you can park free of charge on the street, but you will need to display a parking disc. These zones are marked with road-side signs.There are no limits before 8am and after 6pm. You have a few minutes to obtain a free clock disc from a nearby shop. On Tuesdays, the disc zone in Great Dockray becomes a market site and there’s no general parking available there from 8am - 6pm. For the latest information and up to date charges, visit Eden District Council website. Penrith's an ideal location for coach parties, whether you're breaking a journey or looking for a base to explore the Eden Valley, Pennines or Lake District. 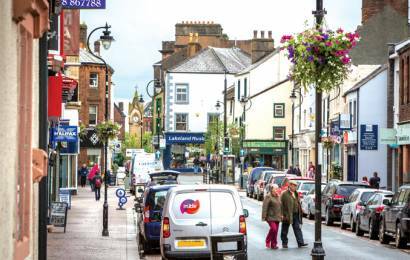 The historic market town of Penrith is the shopping, business and heart of Cumbria. Access to the town is easy, and we offer free all-day parking for coaches at our Sandgate car park (CA11 7TP), right in the town centre. Your coach party will have their choice of superb range of cafes and restaurants for a lunch or dinner break, but why not make Penrith a destination day for your group? From shopping and dining to tourist attractions like our museum and heritage trails, there's plenty to enjoy in Penrith. See our Visit Penrith page to find out more, or time your visit to catch one of our great events. Penrith (North Lakes) Virgin Train Station is located just opposite Penrith Castle, and lies on the main West Coast route from London Euston to Edinburgh and Glasgow. 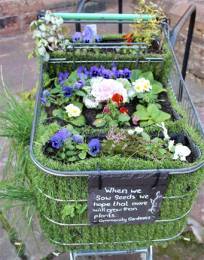 Watch out for displays on the platform form our fantastic Community Gardeners!